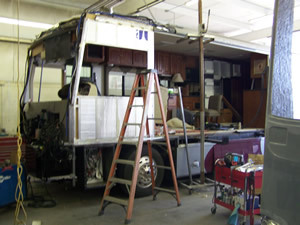 Expert Motorhome & RV Collision Repair! 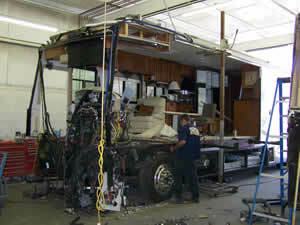 For over 30 years East Valley RV Specialists has offered expert motorhome & RV collision repair. Whether you have a few small scratches, dents & dings on your compartment doors, or you have extensive collision damage from an accident, our certified body repair technicians have the skill and experience to repair almost any flaw your coach may have. 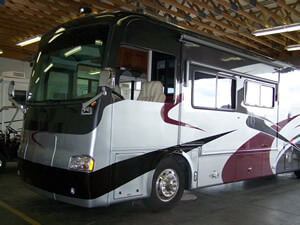 Each of our expert collision technicians have been with East Valley RV Specialists for the better part of two decades. We pride ourselves on performing seamless work that blends so well that nobody will notice where the repair work stops, and the factory body begins. We work with all major insurance companies on a daily basis. Over the past 30 years in business, we have gained a superb reputation as well as an excellent relationship with all of the major recreational vehicle insurance companies. Thanks to the close relationships as well as the trust we have built with many claims reps, we tend to receive an authorization for repair much quicker than most body shops. 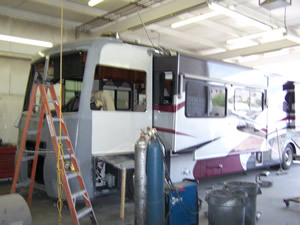 At East Valley RV Specialists we handle your claim from the very beginning all the way to the very end so that you can avoid the hassle of trying to deal with the insurance company on your own. All that we need from you is your keys and your insurance information. It really is that simple. 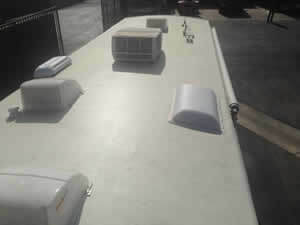 Our team of highly trained and certified body technicians are experts when it comes to repairing, patching and even the complete replacement of motorhome and RV rubber roofs. 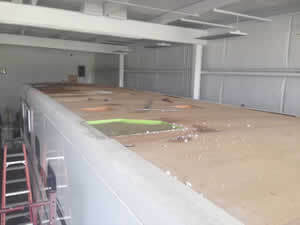 Each of our body repair technicians have 20-25 years of experience repairing and replacing rubber roofs. Replacing a rubber roof is a time consuming process and can become quite costly depending upon the extent of damage under the roof. A small tear can cause a huge amount of damage if moisture gets in it so it is a good idea to get in the habit of checking the condition of your rubber roof at least twice a year.